For more than 40 years, Window Well Experts has been supplying the Chicagoland area with window wells, window well covers and more. 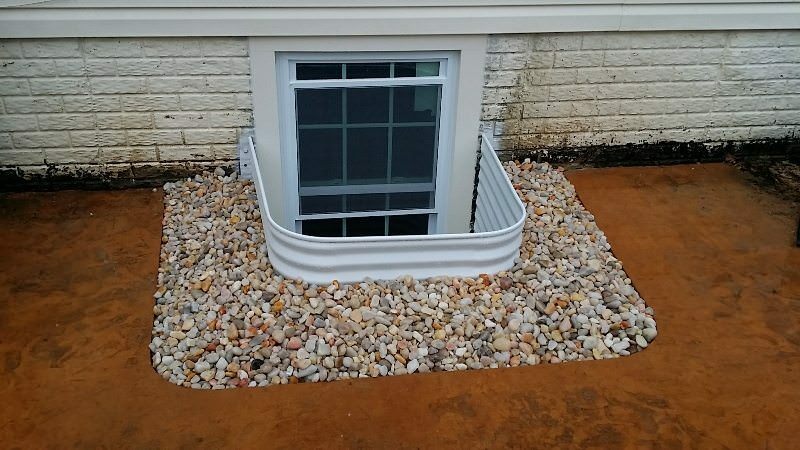 There are more buildings with basement window wells near Chicago than anywhere else in the world, and no matter what kind of window wells or accessories you need, Window Well Experts has what you’re looking for. We offer steel and composite window wells in dozens of sizes, as well as window well covers and grates, egress ladders, window well liners and more. Our products come in dozens of sizes, and if we don’t have your size in stock, just let us know. We can custom make a well or cover to fit your needs. Galvanized steel is the most commonly used material for window wells. Coated with zinc to prevent rust, it’s easy to install, stays securely on your house, and holds up wonderfully. Our heavy gauge galvanized steel wells resist water damage, scratches and dents. All of our wells are constructed from a single solid piece of steel, and we offer dozens of shapes, heights and widths to fit any window snugly, so you won’t have to worry about gaps. We make these wells at our factory in southern Wisconsin, and we stand behind their workmanship. For all these reasons and more, if you’re looking to buy galvanized steel window wells near Chicago, Window Well Experts is your best choice. In addition to our standard galvanized steel models, we also offer white and stone look window wells near Chicago. Improve the look of your basement by selecting a color that complements your house. Coming in a wide range of heights and widths, our white galvanized steel egress window wells offer all the protection of galvanized steel with a fresh, modern and glossy white finish. We even sell white ladders to match the color of your well. Our stone look galvanized steel window wells offer the appearance of a stacked stone wall without stone’s high cost, difficulty of installation, or tendency to leak. Another option for your decor is to accessorize your well with a scenic window well liner. At Window Well Experts, we carry an assortment of mural-style vinyl liners in multiple sizes. Window Well Experts is your best choice for deluxe plastic/composite egress window wells near Chicago. Like our galvanized steel wells, these wells are easy to install, with pre-drilled holes to attach firmly to the side of your house. Do it yourself, or call Window Well Experts for a free installation estimate. Coming in granite and sandstone finishes, these wells feature built-in steps, making them an all-in-one emergency exit. Building codes in Chicago and across the nation require every basement bedroom to contain an egress window for emergency access to the outside, so check with your local building inspector to confirm the laws where you are, and call or email us to find out how we can help.